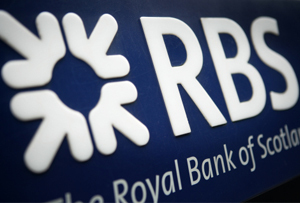 So the Royal Bank of Scotland has finally had a profitable quarter, netting £826m before tax. And now its top brass think the bank is on the home straight for the government to sell it off. The bank’s chairman Sir Philip Hampton posted a video statement on the company website on Friday, saying that he expects the government to start selling back its 81% share by the middle of 2014. He’s probably right: the bank made £826m in the first three months of 2013, a vast improvement on the £1.5bn lost in the same period last year, and the £2.2.bn lost at in the final quarter of 2012. Speaking on Radio 4’s Today Programme, chief executive Stephen Hester chimed in: ‘Privatisation would be a terrific thing for the country, both psychologically and in terms of taxpayers’ money being freed up for other uses.’ It a good way of spinning it, but it must be said it’s pretty likely that the taxpayer will make a net loss. Robert Peston estimates that a sale at today's share price will cost the public purse up to £20bn. Some might think strangely, existing shareholders reacted badly to the news. The share price was down 4.5%, within 10 minutes of the announcement being published. At MT, we suspect the government will no doubt be in a hurry to get the thing sold before the next election, and dumping 81% of the shares in a Big Four bank will almost certainly damage the potential share price. Hence the run on shares ahead of time. Both Hampton and Hester (sounds like a provincial law firm) stressed that the time of sale remains up to the government to choose. But in its statement, the bank emphasised that losses on bad loans are down 26% to £1bn, and its restructuring programme has now seen a 79% reduction in non-core assets, to focus the business on its most profitable activities. To us, that sounds like a bank on the ascent to rude health.